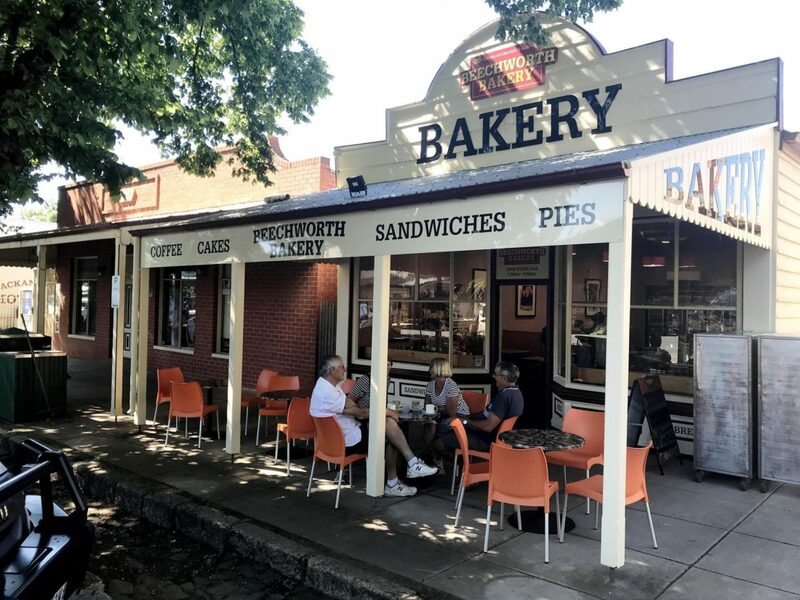 Situated in one of Australia’s prettiest villages, with a centre classified by the national trust, the Beechworth Bakery Yackandandah has only been open for a little while. It might be small compared to the other Beechworth Bakeries but what it lacks in size, it more than makes up in character and charm. And you will find the same delicious range here. Being small allows the team there to really personalise the service to its customers, and greet them like old friends. Beechworth Bakery Yackandandah would love to welcome you and look after you, so you can fully savour the experience and enjoy this gorgeous little town. Steeped in the legacy of gold, Yackandandah is nestled in the foothills of Stanley State Forest, and is roughly a 20 minute drive from both Beechworth and Wodonga.